Bay of Islands is a very popular tourist destination just over 1 hour drive away from Ara Roa. Visit the Waitangi Treaty Grounds or the historic especially relevant township of Russell – the first capital of New Zealand. However, the main object of any visit to the Bay of Islands would be to take one of the many boat trips offered out into the Bay. There is a large range of options to choose from. 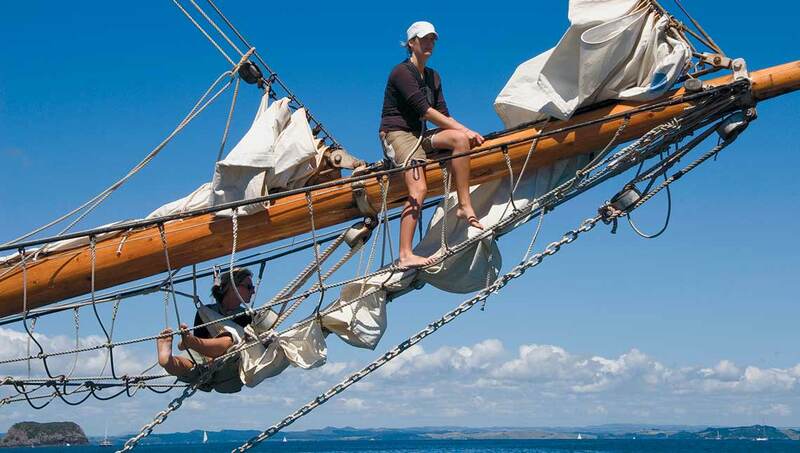 Book in on the gaff-rigged schooner R Tucker Thompson for that leisurely cruise/lunch – or on the high-speed Excitor, which can whizz you through the Bay in 90 mins. The boat ride itself being part of the fun! There are many options in between and several operators to choose from. Booking a scenic flight is another great way to see the area. 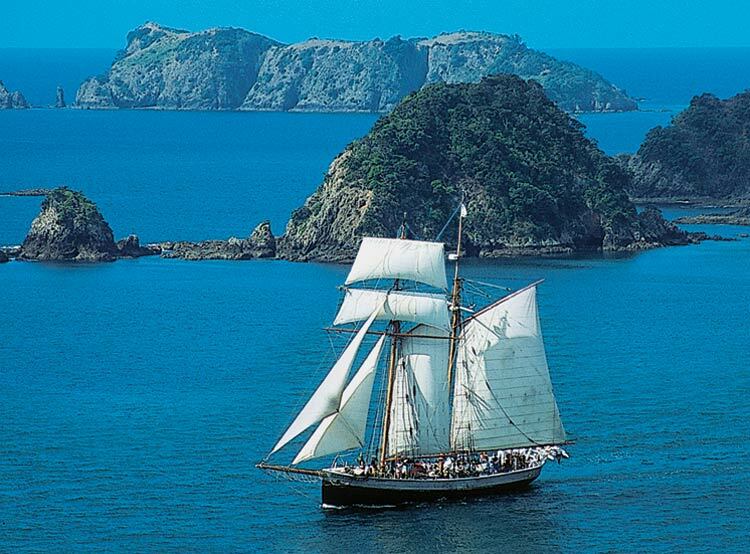 The Waitangi Treaty Grounds are an absolute must-do if you decide to visit the Bay of Islands. Rich in history and stories of the momentous events which shaped our nation. Grab a Day Pass and enjoy admission to the Waitangi Treaty Grounds and Museum of Waitangi, Guided Tours, Cultural Performances and full access to the expansive grounds of New Zealand’s most important historic site. There’s free entry for children up to 18. Contact us to help with advise on how to plan your day in the Bay of Islands here.